In precedent-setting case surrounding murder of three Israelis, Jerusalem court rejects PA's 'statehood' claim as grounds for 'immunity'. In a precedent-setting ruling, Vice President of the Jerusalem District Court, Judge Moshe Drori, ruled that the Palestinian Authority is civilly liable for the murder of three Israelis. The suit was filed by the estates and relatives of the victims Yaniv Ben-Shalom, his wife, Sharon Ben-Shalom, and her brother Doron Yosef Sawari, who were killed in a shooting in August 2001 during the Second Intifada. The couple's two daughters, who were toddlers at the time of incident, were also in the vehicle and injured. These orphans were adopted by their aunt on their father's side, and her husband. The plaintiffs claimed that it was the Palestinian Authority (PA) who gave the weapons to the terrorists who carried out the attack, and therefore is vicariously responsible for its implementation. 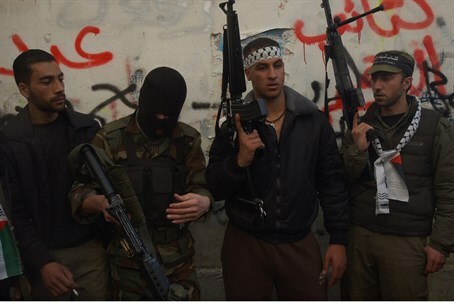 Indeed, the "armed wing" of the PA's ruling Fatah party, the Al Aqsa Martyrs' Brigade, was responsible for scores of deadly terrorist attacks during the Second Intifada. The PA's response: it is entitled to immunity from tort claims, by virtue of being a "state". Judge Drori stated in his decision that the PA was liable for the attack, and could not enjoy the protection afforded to a state in this context. "Pursuant to the Foreign Minister's papers filed in the case, the PA is not entitled to immunity. It is clear that there is not a state, nor a political entity. There is no need to replace the discretion of the judgment of the court, because it does not address a matter of administrative discretion or the executive branch," said Judge Drori. "The only matter was to check whether there were tortious wrongs, such as that the plaintiffs were injured. I did this and I concluded it was so. Hence, I reject the PA claims regarding the state act," Drori ruled. Judge Drori added: "It is infuriating to read the PA claim that providing money or weapons to perpetrators of terrorist attacks is part of its actions as a 'state.' Such claims should be rejected with both hands". Following this ruling, both sides will now present their arguments about the size of damages. After that is completed, a final judgment will be given in the case. The PA has been actively lobbying for years to gain symbolic recognition as a "state". Most recently, a diplomatic row erupted overnight between Israel and Sweden after the Swedish government became the latest country to recognize the PA as such.